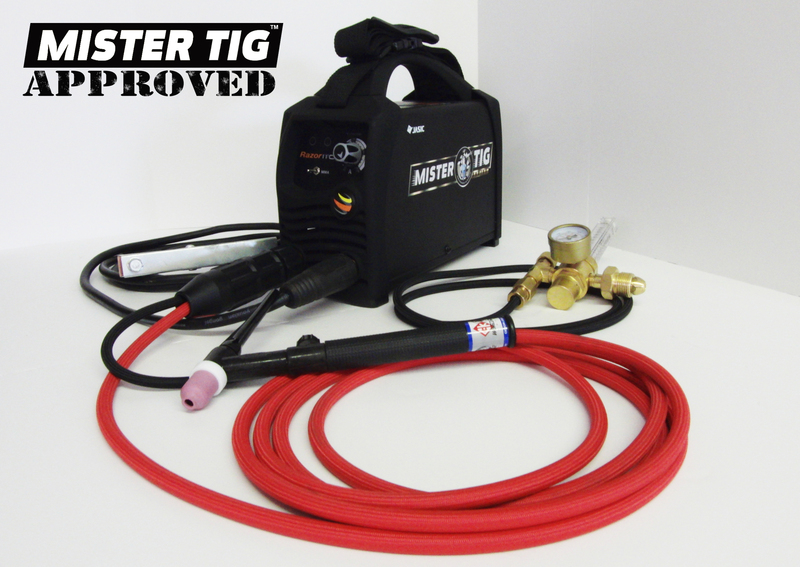 Mr. TIG has bundled the Razor110 into a complete welding package with premium accessories to optimize the performance of the machine and provide quality welding results by the end user. 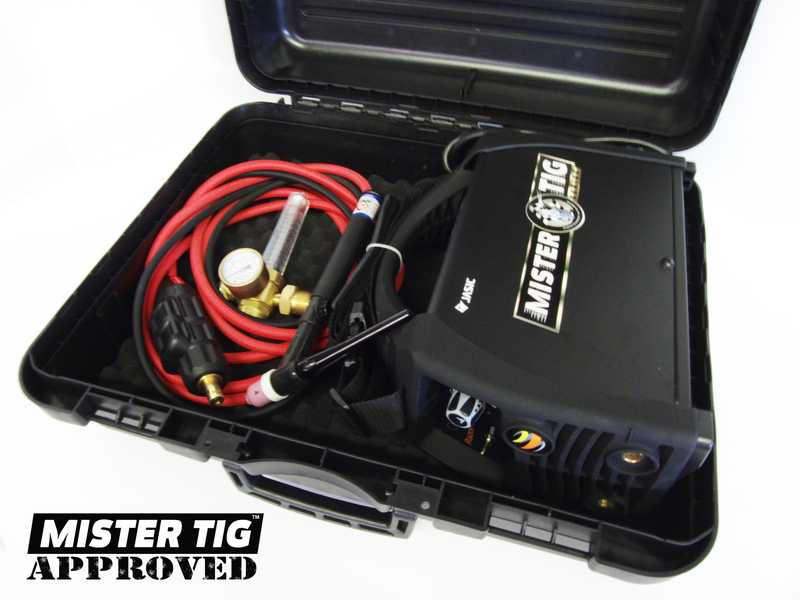 The RAZOR110 inverter-based TIG / ARC welding machine that utilizes the latest IGBT technology in a small and light weight package complete with a light industrial carrying case. The 115 Volt power source has a wide range of amperage ranging from 10 up to 110 Amps and the TIG Lift Arc function delivers superb arc ignition without any sticking of the tungsten electrode to the work piece. This is an exceptional, cost effective and truly mobile welding bundle that is suitable for a wide range of applications including light industrial, on-site commercial, sheet metal and pipe fitting as well as multiple repair and maintenance applications both in the shop and out in the field. Specifications: Power Supply / Phases (V-Ph) 115V - 1 ±15%, Rated Input Power (KVA) 5.0, ieff (Amps) 15.3,Imax (Amps) 36,Rated Output 110A/24.4V MMA - 10A/14.4V TIG,Welding Current Range 10 ~ 110A,No Load Voltage (v) 63, Duty Cycle @ 104ºF 20%@110Amps MMA - 30%@110Amps TIG, Protection Class IP21S, Size 12.32” x 5.11” x 9.84”, Weight 10.1 lbs., 3 Year Warranty on the power source.